The B.C. government has made good on a pledge to see ride-hailing by 2019… kind of. Revellers weren’t turning to ride-hailing giants like Uber and Lyft to escape a major New Year’s Eve cab crunch that had some waiting hours for a ride home. But some appeared to be using an underground, unlicensed Uber-esque app called Udi Kuaiche – despite concerns about insurance problems and safety issues. Cell phone video shows the app appearing to offer dozens of vehicles throughout Metro Vancouver during the first hours of 2019. Either risking an unlicensed service or staying put is the kind of terrible choice that Vancouverites shouldn’t have to make, said Amanda Rose, who was with a friend who waited hours to get out of downtown Vancouver. “We waited for three-and-a-half hours. My friend went downstairs to get a cab. She couldn’t. She came back up and said, ‘I guess I’m not going home tonight,’ and she crashed on the couch with me,” Rose said. CTV News has seen Udi Kuaiche in action before, when it picked up a producer testing the service. Just like Uber, it uses an app to hail rides. 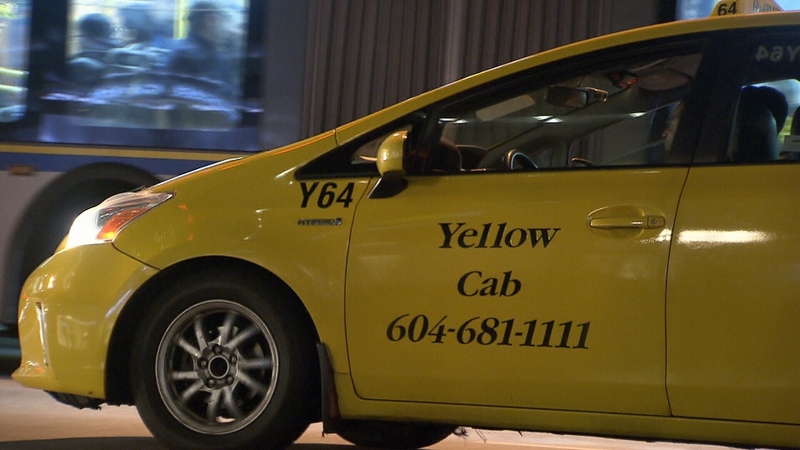 But the taxi industry is telling would-be riders to use caution when driving with a vehicle that is not dispatched through a licensed taxi service. "Those vehicles do not have adequate insurance, and those drivers have not gone through criminal checks. You don’t know who is driving you," said Mohan Kang of the B.C. Taxi Association. Western Canada’s Uber representative, Michael van Hemmen, said the existence of the app proves there’s a need for a service. "The fact that there are unregulated apps already operating in Vancouver just shows the demand for this type of service that Uber could provide in a regulated environment," he said. The Richmond-based company behind Udi Kuaiche didn’t respond to our calls. At least 30 drivers for similar services have been fined $1,150 for operating cabs without a licence. The B.C. government has passed Bill 55, which seeks to regulate digital platforms, though the bill has been criticized as protecting the taxi industry. It seems that even as the government plans hearings on the industry this month, at least one company – and some riders – aren’t waiting for them. A taxi is seen on Dec. 31 in downtown Vancouver.